Even if you live in a low crime rate city, it is still a smart idea to armor up and protect your Pocatello home or business. You never know if you could end up the target of a break-in, and you know they say it is better to be safe than sorry. There are many do it yourself ways to help secure your home or business but the best way is to purchase a Pocatello alarm system. An even better idea is to hire a professional to install your security system ensuring it is properly setup and monitored. 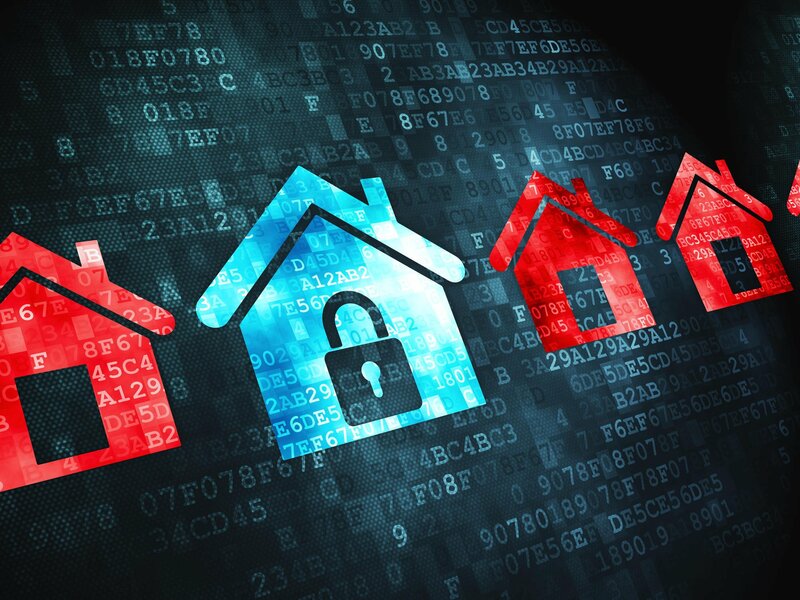 Security systems have come a long way over the years, just as any technology does. Your standard security system includes cameras, locks and a control panel. 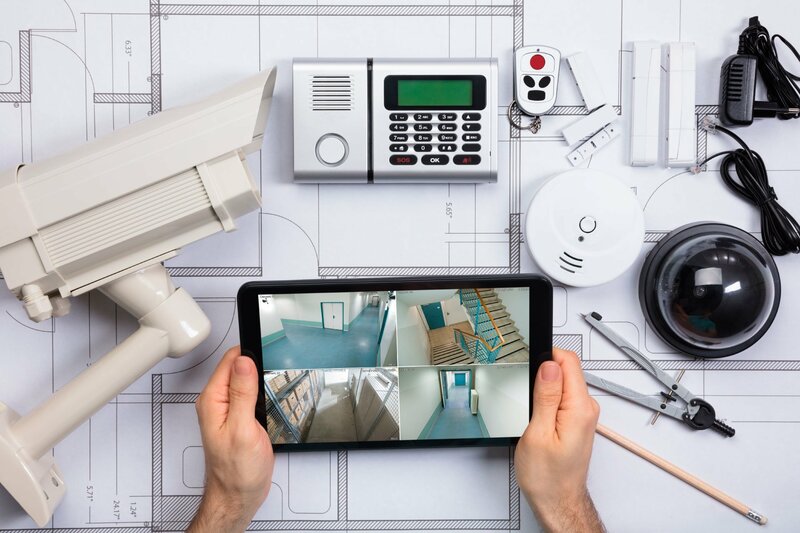 Depending on your needs, there are several additions you can acquire to fully optimize your security alarm system to suit you. Things such as motion sensors, smart thermostats and lights, smart fire detectors and carbon monoxide monitors. All of these can be synced together to one control panel. You can also have your security system linked to your home computer or your smartphone or tablet allowing you the ability to check-in, arm or disarm and monitor your home or business at any time and any place. If you have your Pocatello alarm system installed by a professional, they will also be able to monitor your home or business as part of the package. If there is a break-in or a fire, the authorities will be alerted immediately along with yourself. These few precious minutes can really make the difference in saving your home or not. Cameras: Cameras now have high-quality recording allowing you to clearly see anyone coming or going from your premises. They also have the ability to tilt and move according to motions. Night vision abilities has also been a great advancement for cameras. They even have true color night vision options allowing you to read a license plate in zero light at over 100 yards. Another great item to include with your cameras, if you have pets, is the pet immune motion detector. Sometimes your pets running around can set off your system trying to alert you of an intruder when in reality it’s just Mr. Fluffy going for a run. The pet immune motion detector will sense when it’s just your pet and keep your system unalarmed. You can have your alarm system, including your cameras, sync to your phone which gives you access to check on your home or business at any time and any place. Door Locks: You can have your alarm system include entry locks. This allows you to lock and unlock your door when you are away from your home or business. You can also have the ability to have it linked to your mobile device allowing you a keyless entry, no more worry about properly hiding a spare key! Many door locks also include a camera within the lock itself, giving you visibility of who is at your door. Thermostat: All aspects of your alarm system can be synced to your mobile device, or tablet, including your thermostat. This is great for unexpected weather changes giving you access to turn up or down your temperature as needed. Also, if you go away for long periods of time you can control your thermostat accordingly. Personally, I like to use it to crank the heat up making my home cozy ready for me when I walk in the door. This helps you conserve energy making your utility bill lower! Lighting: If you are a forgetful person, this feature will be great for you. You can have all, or some, of your lights within your home synced to your security alarm system. This is also a great feature if you are away from home. You can turn the lights on and off making it appear as if someone is at home when there really isn’t. If a burglar is targeting your home and sees the use of lights throughout the day, they will be made to believe someone is at home deterring them from attempting to break-in. Smoke and Carbon Monoxide Detectors: This is a life saving feature. Having your alarm system linked to your smoke detectors and carbon monoxide detectors allows for the system to alert authorities and yourself at the same time. These few precious minutes can make the difference in saving your home and family or not. If just yourself is alerted you then have to take the time yourself to alert authorities of a situation. When linked to your alarm system, they already have direct access to authorities with your location at the time of the alert. Another advancement with smoke detectors is the feature of being able to detect rapid rising temperatures. No smoke may be present yet, but the smart smoke detectors can sense the temperature rising rapidly indicating the possibility of a fire. Control Panel: Every system will be connected to a main control panel. This panel gives you complete access to your system allowing you to disarm and arm the system as you need. You can also control all the home automation features from the control panel as well. Don’t forget you also have the mobile control panel within your phone or tablet giving you the same access away from home as you would with the control panel within the home. Mobile Surveillance Units: This feature is not used in your everyday security system. 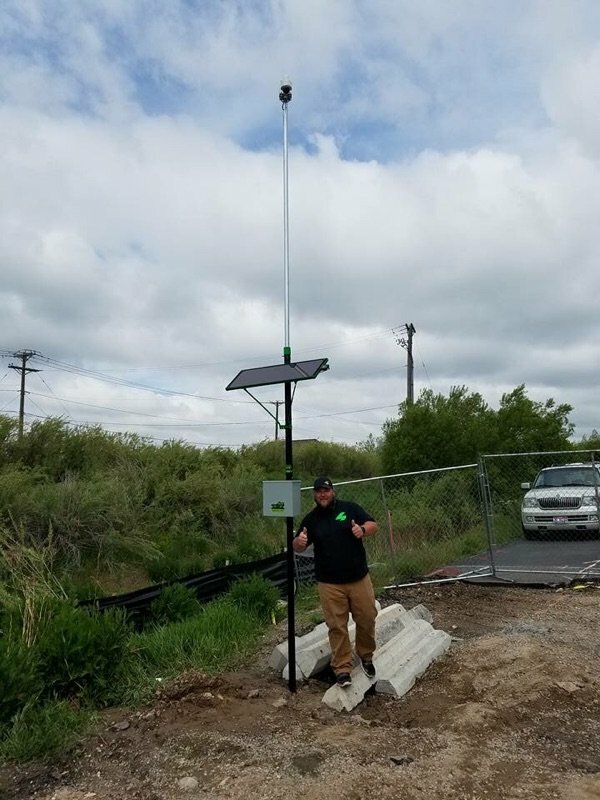 The mobile surveillance units are designed specifically for construction sites, outdoor property or events. These wireless units are able to be setup quickly giving you coverage when you need it. They are also synced to your mobile device or tablet allowing you access when you are away from said site. The cameras feature energy efficient LED infrared lighting and high-resolution digital video cameras. They are also integrated with storage options, allowing for a days’ worth of storage when network connectivity is down or not available. Another great feature of the mobile units is they can be powered with solar panels for clean operation and also have environmentally friendly diesel generators to recharge the batteries during cloudy or rainy days. Don’t let your construction or event equipment go unwatched. It is very common for construction sites to be targeted for their expensive equipment. Not having a security system potentially allows for them to be stolen and giving you no leads to a perpetrator. The number one benefit of having an alarm system within your home or business is the peace of mind associated with it. Knowing you can sleep safely, or leave your place unattended gives you the greatest sense of security. No one wants to go on a vacation and be worried the whole time if something is going to happen, whether it be a break-in or fire. Another benefit is having your alarm system monitored by your security company. If anything unusual happens or your alarm goes off, this will alert the security company who then immediately contacts the appropriate local authorities to respond to the situation. If you are away from home or unable to alert someone yourself, this feature can be lifesaving. Yet another benefit is the deterrence for burglars. Having yard signs, or window stickers, stating your home is covered by a security system helps deter potential burglars from attempting a break-in. Sometimes people will purchase just the yard sign for this reason. However, with a quick lookover of your home or business, someone could easily tell if you have an actual system or not. Even if someone attempts the break-in, having the alarm blare when they gain access can be enough to chase someone away. Plain and simple, the professionals will get it done right the first time. Setting up an alarm system yourself can take a lot of time especially if you don’t know what you are doing. When it comes to your security you definitely want to be sure it is setup properly. You don’t want to think it’s working properly and then when the time comes find out something wasn’t connected properly making your system ineffective. Another reason, as stated above, is having the professional security company monitor your system for you. If you are looking for a high-quality, professional trained security alarm company look no further than 4Sight Security. They can get your alarm system properly setup in no time giving you that peace of mind you need.